redi & Associates, and I started seeing Anna. The first step was to regain mobility in my left shoulder” recalled Kalla. 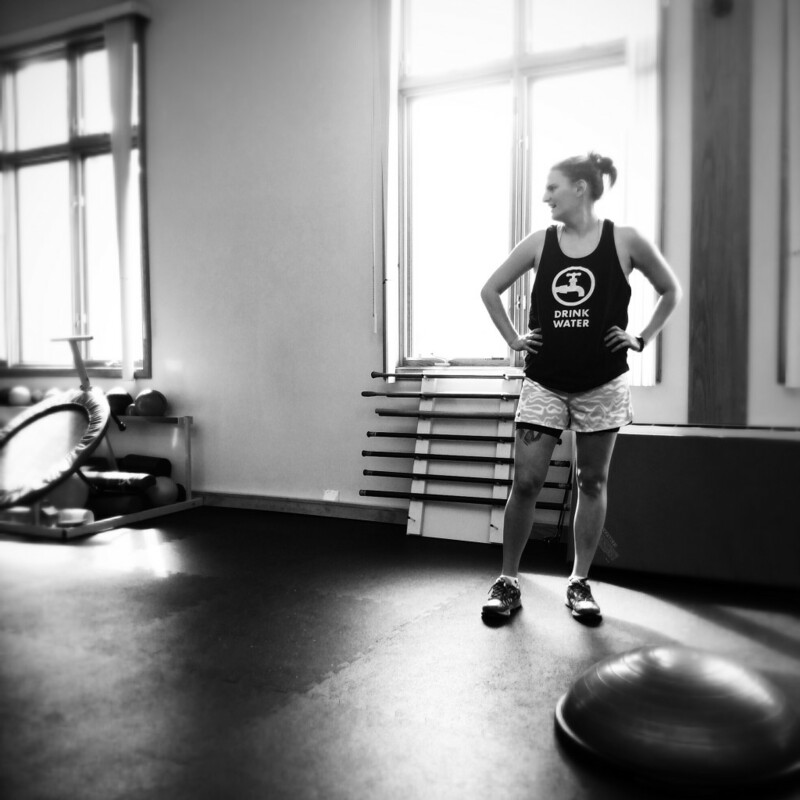 As her time in PT was coming to a close, Kalla was interested in continuing to enhance her sports performance. 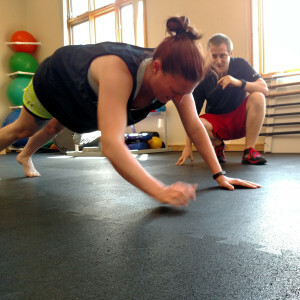 Anna recommended she transition to our Medically-Based Personal Training Program. This program focuses on providing a safe transition into a more rigorous fitness program and building on the gains made in therapy. What’s unique about this program, is that you work one-on-one with one of our Personal Trainers, on a program that is overseen by your personal Physical Therapist. Kalla was on board, and signed up to work with trainer Joe Soojian. , continuing to build on the shoulder strength and mobility, and furthering her range of motion. Soon they progressed to a full body strengthening routine to ensure that she could safely return to all the activities she enjoys. 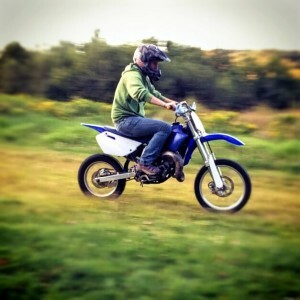 On her training Joe noted “Kalla’s work ethic and desire to get back to Tough Mudders really allowed me to push her. In just a few weeks, Kalla was working into advanced exercises that required a large range of motion, muscular control, and strength.” Kalla noted that working with Joe really gave her the support and encouragement she needed to further advance her training regimen, all in a safe and controlled environment.